These past few days, have I have been busy with issues regarding domestic violence victims. Because I spoke out about my past, a lot of women have felt comfortable talking to me. Sometimes, they want out and need help to get out. Sometimes, they just need someone to talk to. Sometimes, they need someone to advice them on what to do. Lawyerman is worried that perhaps, I might unwittingly be encouraging women to leave their marriages. I told him I would never do that. If a man is not putting your life at risk, either by sexual promiscuity and or physical violence, I believe that other marital issues can be resolved. With a lot of patience and understanding and of reconnecting to what first attracted them to you. The cliché -no marriage is perfect is really true. Even siblings, who have the same upbringing still fight each other. So, how much more two people with different upbringings and sometimes, even different backgrounds? But when a woman tells me that her life is at risk, and that she wants to leave, I will do my best to help her. Sometimes, an abused woman goes back. We need to understand that. We need to understand the psyche of an abused woman. Before a man abuses his partner physically, he would have abused her mentally, psychologically, emotionally. An abused woman is a broken woman. So, sometimes, even when she has summoned the courage to leave and live, she may still be broken and feel that life was better with her abused partner. No person is totally bad and no person is totally good. So, an abusive partner would still have one or two things that the abused woman may miss. And if she does not have a good support system, she may go back to the abusive situation. People need to recognise this fact because otherwise, the helper may feel frustrated that the woman has gone back. I certainly went back a few times. In my own case, I did not recognise that I was being abused. Even when it escalated to physical abuse, I did not recognise it for that. He did not start punching me till I was pregnant with Tobi, about 5 years into our relationship. We were engaged then and they had done the traditional one in Naija. But looking back now, he had been physically abusive to me from very early on. One example. I snore. So did he. But he would never admit to snoring and would always mock me for snoring. And sometimes, when I was sleeping, he would get up from the bed and tip the mattress over and I would land on the floor with a big thud. That would certainly stop my snoring. Then he would go on to sleep and snore. And I would be awake, from the effect of falling unexpectedly to the ground and of listening to his snoring. Or sometimes, knowing that I have Rhinitis and that anything can trigger a sneezing fit, would suddenly shove his fingers in my nostrils. Cue my running nose and sneezing fit. That would certainly wake me. So, I would be there, sneezing and nursing a runny nose and listening to him snoring. How about just telling me to change my position? And what about the day he pulled me while I was having a shower and was going to push me out on to the streets star’k n’ake_d? Because I made a joke. My dad was coming to London on holidays and he did not know I was living with my boyfriend. I told Dafe that I would be moving out and getting a flat before my dad came as my dad would NEVER stay with me in my boyfriend’s place. That was agreed. I would get my place. Dafe used to spend up to an hour in the bathroom. Just preening and looking at his handsome face. So, that day, I needed to be somewhere and I asked him if I could have my bath first. He agreed to that and I jokingly told him while I was in the shower, that I would soon be out of his hair and he would not need to queue before using his own bathroom. That was Dafe’s cue to get angry and throw me out of his flat. He said he wanted to make my moving out faster. To where? I had not gotten a flat yet ke. He pulled me out of the shower star’k na_ke-d and was going to throw out on to the streets. I held on to door frames and begged him to at least let me get dressed. He finally agreed, I got dressed and left. And I was determined that I would not take him back no matter how much he begged. But I did take him back. Again and again. So, sometimes, an abused woman will go back. Sometimes, again and again. I could not tell my family in Nigeria. I was too ashamed. It was very frustrating for my sister Yemisi and my friends to see me in the downward spiral of negativity. But the fact was that I was a broken woman. Dafe, had been telling me how ugly I was, how irritating my Naija accent was, how embarrassing my fat a_rs’e was, how he cringed whenever I spoke in public because my accent was local. In the beginning, I would laugh it off. I should have left him then. But I did not. I let him chip away at my self-esteem. The fact that I was more educated than him, the fact that I earned much more than he did, the fact that while he spoke with a fake British accent English that was grammatically wrong and my Naija accented English was grammatically correct, all these did not matter to me. All I saw was Bunmi who could not do better. So, yes, an abused woman may go back until she knows that she cannot take it anymore. In my own case, I finally left him, not because of physical abuse (which I stopped after I slapped him back), but because of his emotional abuse. U highlighted a lot of underlying issues surrounding domestic violence and abuse.Thanks. 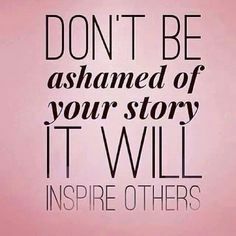 your story is one of strength and courage… Bless your heart for being open and sharing it..
Infact, it is only the emotional and psychological abuse that makes the physical abuse possible in the first place. It is only when one has been successfully battered with words to a place of silence and worthlessness that he can now raise his hands and begin to beat without expecting a bottle of something hot to smash his skull.. Thank God, i left before the beatings started. Lol. There is s song that goes ‘ yes I am wise, but it’s wisdom born of pain’. 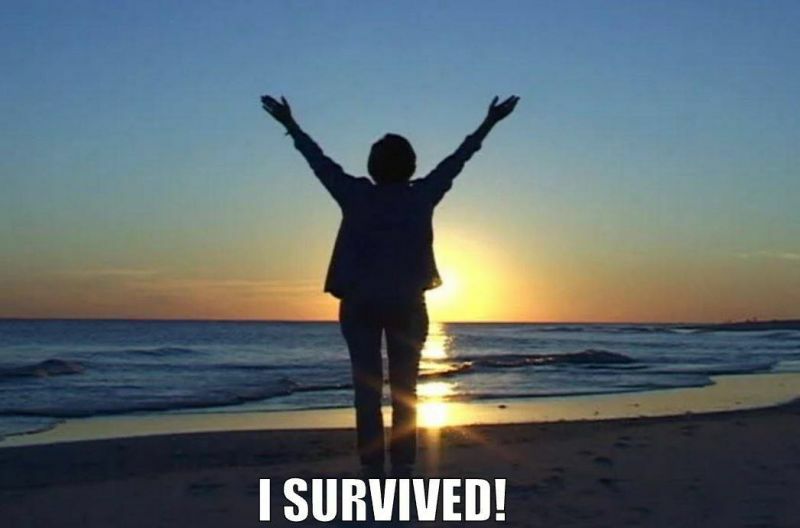 I am strong now, because of what I went through. Thanks Fix. It’s takes alot of courage and self determination to leave an abusive crazy relationship. ,no we were not in some department but I can easily do his calculations for him ,anyday I complain of tiredness,I ll get the beating of my life but he comes back begging using his dead dad as an excuse.. He steals my money,tear my clothes and disgraces me outside… Hmmmm,the abuse was endless, too scared to even tell him it’s over… But I sure did eventually. And it left a scare I don’t think I can ever get over… Thanks sis B for the good work u re doing. Thanks you sis. I’m glad that even with the scar, you have moved on to find happiness. O dear! I went back,severally! I was mentally and physically,messed up! He would always say to me “who would take you in,with four children? No man would look at you,especially when there were younger girls,who haven’t even had any children. You will suffer and then come back”. At every time he said this,i was afraid! I was young(27) when I finally took that bold step. I have never looked back again. I must inform here,that each time I went back,the abuse was worse than the previous……….Broken face. Broken ribs. Messed up esteem. I was raped severally……….I couldn’t sleep with a man who had no respect for me. and so I had to sleep in the children’s room. With my geans and jacket on. He would break the door,and force himself on me…….my kids were traumatised! When abuse begins,it never stops! Emma never stopped! When you walk,never look back……..you may not be as lucky as the writer and I.
Hmmm… I’m glad for you too. Aunty, this is so timely, for me. Aside: I was just telling a relation some days back how I feel like I’ve known you for so long. Mentally abusive relationships are really downplayed, because, unlike physical abuse, they bear no obvious scars. I was in one and I stayed in it for seven years, for a combination of reasons. From thinking we could work through our issues to considering the dent separation and/or divorce would have on my ‘proper upbringing’, to succumbing to societal and religious expectations, I went through depression and many other health issues, just to hold on to a man who had stopped loving me. Just today, the ghost of my past floated in again and took me back to where I’m coming from. Though, I’m not going back to him, the pain is as raw as the going-through. So, I totally relate with this. We need to stop putting pressure on individuals to stick in unhealthy relationships. By all means, work at conflict resolution and reconciliation, but where that totally fails, life preservation should take prominence. Much more than before, I’m boldened to own my story and to share. Please do share your story sis. Sharing takes the stigma away. I totally could relate to this . I was so hurt when a friend I helped moved out of her husband house went back to him. May women living in abusive relationship find the courage to walk away and find peace within themselves and leave without looking back. I hope you are no longer hurt now. You were a good friend as not a lot of friends would want to involve themselves in domestic violence issues. Heck even the police does not want to be involved either!